Hi. Welcome! Thank you for visiting. 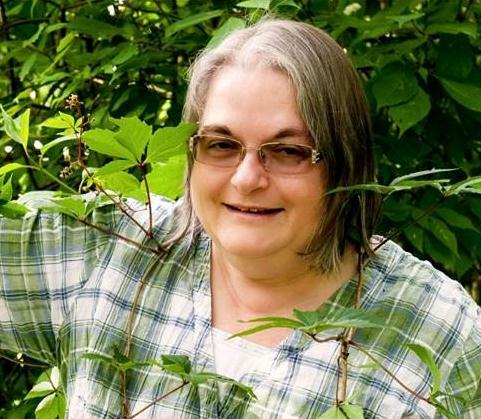 I am a botanist and writer, living in New Brunswick, Canada. I have been writing poetry for about twenty years and I have one poetry book (‘within easy reach’ 2016 Chapel Street Editions), 84 poems, one magazine article, one short story and one review published in 23 literary journals. You can find my poetry in the Dalhousie Review, Galleon, New Quarterly, the Fiddlehead, The Antigonish Review, all rights reserved, The Cormorant, Whetstone, Green’s Magazine, Canadian Stories, The Amethyst Review, River Revue, and elsewhere. I have rather diverse interests and these are reflected in my training. I have a B.A. in History and Anthropology, a B.Sc. in Biology (botany), and an M.Sc. in Biology (forest ecology). I am also a planner and have my Membership in the Canadian Institute of Planners and my Registered Provincial Planner certification. 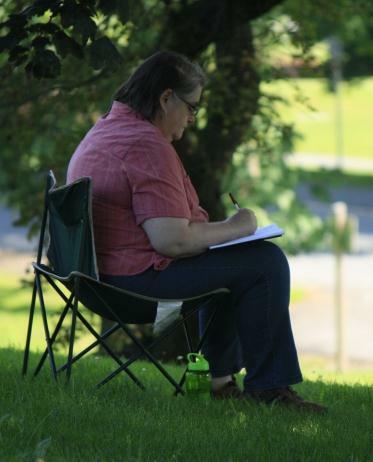 I have been a member of a local writing group known as Wolf Tree Writers for 20 years. We meet monthly to read, write, and critique one another’s work. I am also a member of the writing group Fictional Friends. We also meet monthly and often invite a local writer to attend our group and contribute to our learning. we have produced a chapbook of our writing (‘butter and eggs’ 2015). I often include black and white pencil drawings with my writing and, sometimes, paintings in watercolour or acrylic. Visit my Gallery Pages to see my work. I practice my writing daily and this Blog has been a wonderful opportunity to work on my prose and poetry in themes, and to share my writing with more people. It has also helped me practice my drawing. Thanks! You write very well. 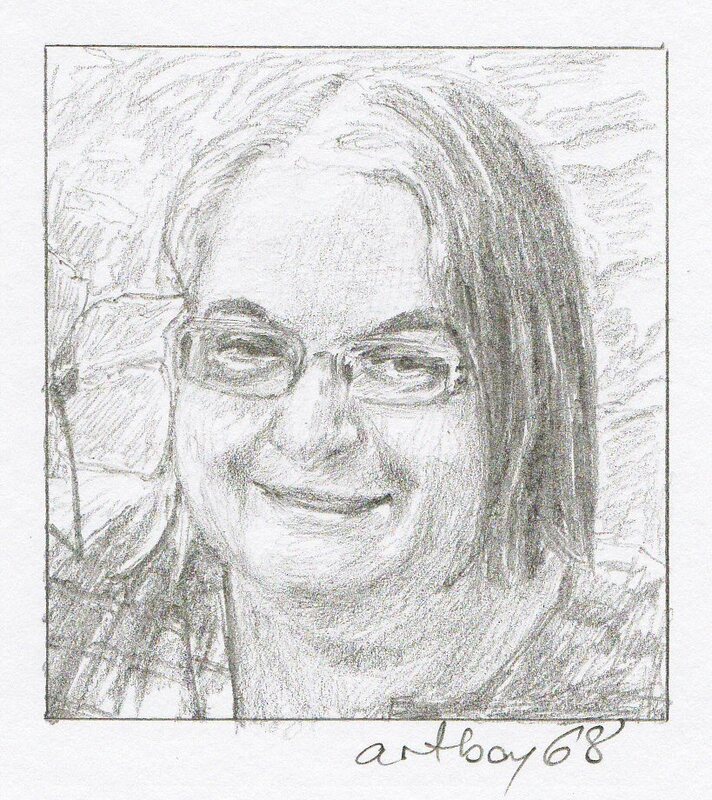 Your drawings are lovely-thanks for reading my blog! I am an artist in Kentucky and I paint traffic lights. I would love your permission to paint the traffic lights in the fog. I will be showing my art in an exhibit in Savannah GA in Aug of this year. Please feel free to contact me. travelrv@hotmail. Would love to get started. I found your blog on Subhan Zain’s great fellow bloggers-we have a lot of common interest, botany, art, poetry, prose. Your blog is a resource in and of itself-impressive, beautiful, inspiring. I enjoyed viewing it, the chicory caught my eye-one of my favorites and so often over looked as a “weed” It is a beautiful and useful wild flower/plant. I will follow your blog and invite you to check mine out and follow it as well..beebeesworld. Hi Jane – I found your site looking for ideas how to draw reflection on water. I just wanted to say I love your pencil drawings! They are so delicate and beautiful. I am a like minded creative but my ideas are very much driven by educating children as I am a music teacher, and currently in the process of putting a video together about Mary Kingsley’s travels across West Africa. (I have a site http://www.songchest.com if you want to see the sort of thing I do. (Not a plug!) Anyway, thank you for the inspiration! Hi Jane. I’ve just found your blog and love it. I enjoyed seeing you at the workshop on Monday; your shared experiences were very useful to me. I just started my own blog yesterday!! Very well done, Jane. Love your site. Thank you! Hello Jane, thank you for all of your wonderful posts. You are on my top favourite 15 blogs listed here: http://everedwater.wordpress.com/2011/12/10/versatile-blogger-award/ Keep up the good work, and I look forward to reading more! No kidding…I felt like I had found treasure after coming across your blog and taking a tour of your work! In a very real way, I have found treasure in my opinion! Thank you for sharing! I’ll certainly be back! Just checked out your blog, very interesting. I subscribed. Loving the blog. I too find that blogging makes a perfect frame for poems and images. And Oh How I Love Canada!! A country of natural inspiration if there is one! Jane is a most wonderful lady. I have interacted with Jane for a few years at work. Always pleasant and respectfull of others. Jane brings a smile and often a giggle with her to meetings in addtion to her insights and creative wisdom. Love your blogs Jane, you are an inspiration. Hi Jane, I found your blog through Watching Seasons. Looking forward to reading your work. Best wishes, from a poet in Wisconsin, USA!